Sharon Cooper, Ph.D., has been awarded the Jane Dale Owen Professorship in Environmental Health Protection at The University of Texas School of Public Health. Cooper is a professor in the Division of Epidemiology, Human Genetics, and Environmental Sciences and regional dean for the School of Public Health’s San Antonio Regional Campus. She also is an adjunct professor in the Department of Epidemiology and Biostatistics and in the Department of Family and Community Medicine in the School of Medicine at The University of Texas Health Science Center at San Antonio. She is an alumna of the School of Public Health. The Jane Dale Owen Professorship was created to perpetuate scientific research and the education of public health professionals with a focus on environmental issues affecting quality of life. 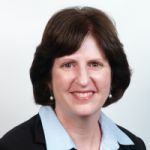 As an occupational epidemiologist, Cooper has more than 25 years of experience conducting research on how environmental factors affect the public’s health and safety. Cooper’s main research focus is on occupational illnesses and injuries and vulnerable working populations. She has published research on surveillance of work-related health outcomes, injuries in working youth, and work-related cancer. Currently, she is studying chronic disease risk factors in working Hispanic youth, collaborating on the development of a national research database for farmworkers by the linking of electronic health records, and assessing the magnitude of hearing loss and hearing injuries in active duty service members. Cooper also serves as deputy director of the Southwest Center for Occupational and Environmental Health in Houston (SWCOEH), and directs the SWCOEH’s Occupational Epidemiology training program. In addition, Cooper serves on the internal advisory board for the Southwest Center for Agricultural Health at UT Health Science Center at Tyler. 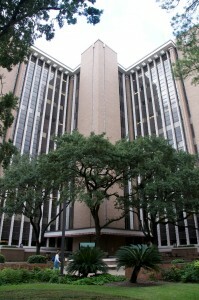 The Jane Dale Owen Professorship in Environmental Health Protection was established by The University of Texas Board of Regents, using funds donated on behalf of environmentalist Jane Dale Owen.